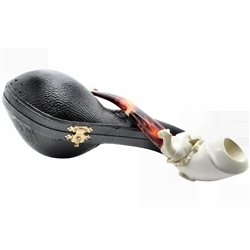 Hand Carved Sitting Camel Meerschaum Pipe - A very unusual pipe - we have not seen a pipe carved with this subject and creativity. First, the smooth bowl is carved in a graceful freeform Dublin style. Then, a camel is carved in a sitting position resting on the back side of the pipe bowl and shank. What makes this pipe even more special is the carved flat bottom allowing it to sit with the bowl up when you set the pipe down. 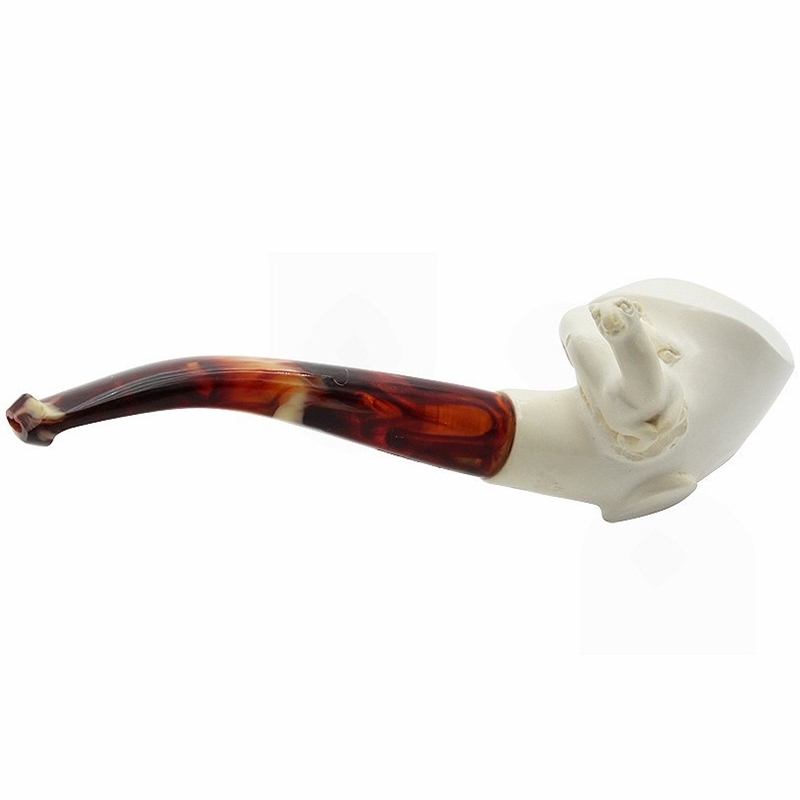 And it has a deep rich amber colored marbled bent stem that is a striking contrast to the smooth white meerschaum. This is one fine pipe; a definate conversational piece as well as a great tobacco smoking pipe.